A quick, 24-hour infusion is all it takes to mix a batch of this homemade coffee liqueur. 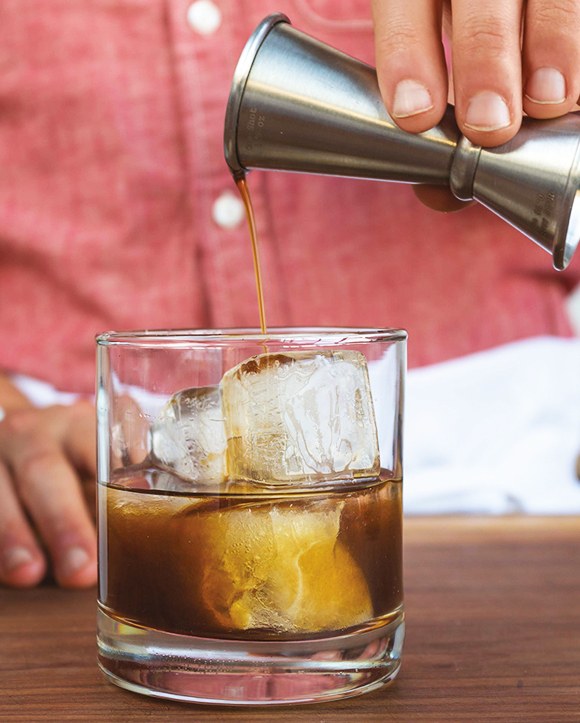 Sip it as an after-dinner liqueur or mix it in this White Russian riff. Combine ingredients in a 16-oz. jar. Seal and shake to combine. Refrigerate and infuse for 24 hours. Strain through a double layer of cheesecloth. Refrigerate for up to 3 months. Reprinted from Infuse: Oil, Spirit, Water by Eric Prum and Josh Williams. Published by Clarkson Potter, an imprint of Penguin Random House. Cool cucumber and creamy coconut meet earthy blanco tequila in this “greatest hit” cocktail from Chicago’s The Whistler.